- All presets are velocity sensitive. 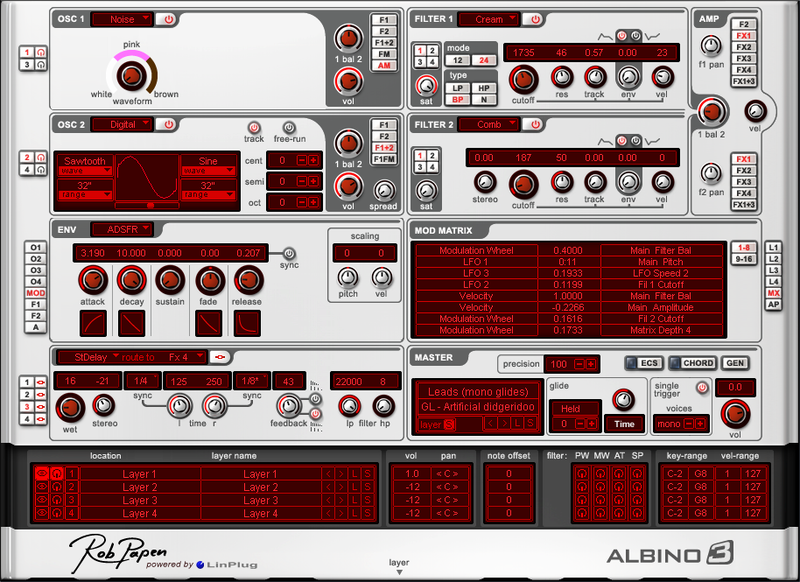 - Most presets use the mod wheel to change the character of the sound. - For more information about Albino3 visit www.linplug.com. - 256 presets. Preset list 1. Preset list 2. 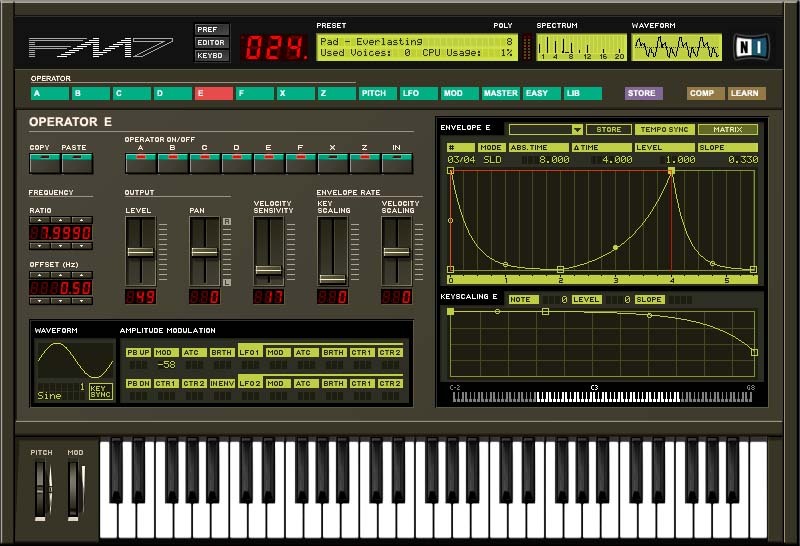 - Sylenth1 demo mp3 I. 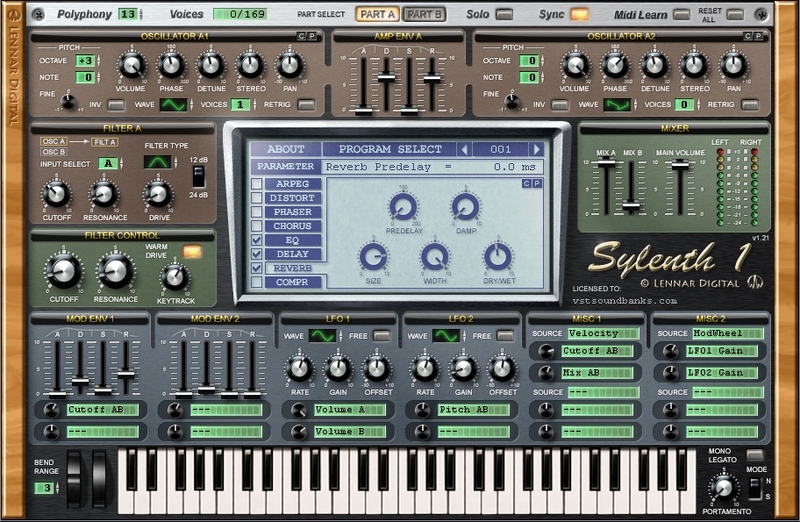 - Sylenth1 demo mp3 II. - For more information about Sylenth1 visit www.lennardigital.com. - 312 presets. Preset list 1. Preset list 2. Preset list 3. - Z3TA+ demo mp3 I. - Z3TA+ demo mp3 II. - Z3TA+ demo mp3 III. 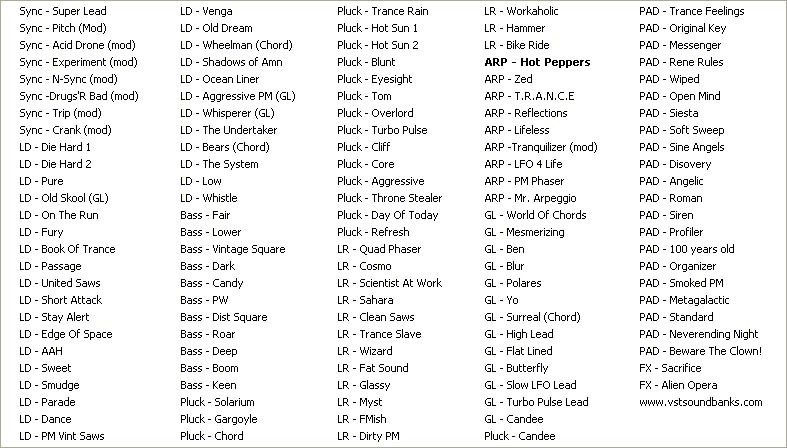 - some presets use the X-Y axes, Breath or a slow moving LFO to change the sound. 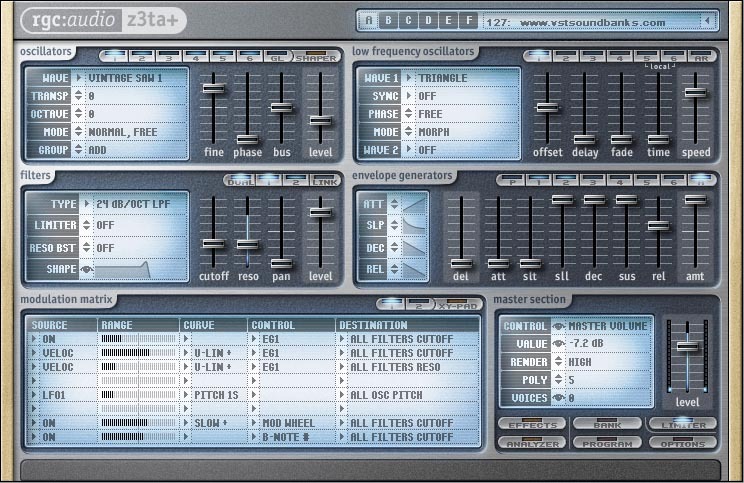 - For more information about Z3TA+ visit www.cakewalk.com. - 384 presets. Preset List 3 Preset List 2. Preset List 1. 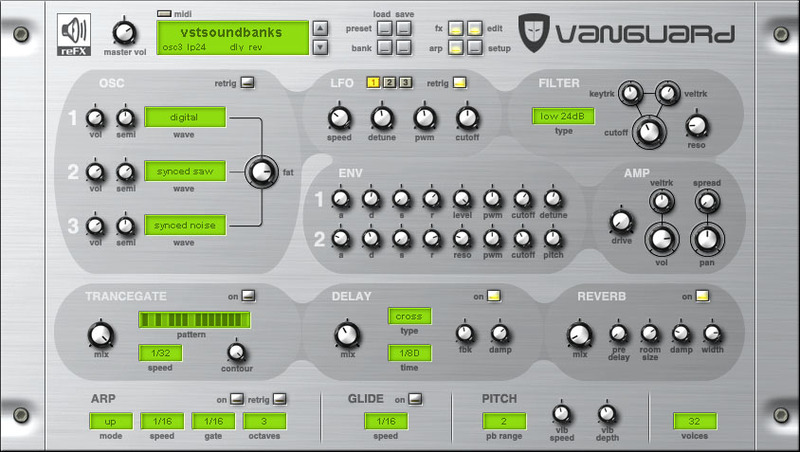 - Vanguard Soundbank 1 mp3. - Vanguard Soundbank 2 mp3. - Vanguard Soundbank 3 mp3. - Mod wheel is hardwired to the cutoff frequency. - For more information about Vanguard visit www.refx.net. - 160 presets. Preset list. - FM7 demo mp3 2. - All presets use the mod wheel. - For more information about FM7 visit www.native-instruments.com.